"Our investment in benchmark products for both Honda and Acura has put us in position to achieve strong sales results, even in a challenging market," said Henio Arcangeli Jr., senior vice president of the American Honda Automobile Division. "While some competitors are using fleet sales to boost their numbers in this relatively flat market, our gains across the board are driven by retail customers buying our products one at a time." 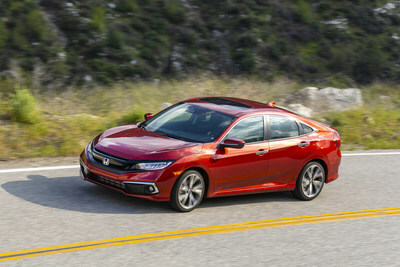 Honda's record March sales was led by Accord and Civic, as Honda cars were big contributors, even as trucks also set a new March record with strong sales for HR-V, CR-V and Ridgeline. **** Electrified Vehicles equal: Total sales of Hybrid (FHEV & PHEV), EVs (BEV) and Fuel Cell Vehicles (FCV) from the Honda and Acura brands.